DO check around your house regularly for bee colonies. Check storage sheds, dog houses, meter boxes, flower pots, trees, shrubs, and crevices. Seal cavities and crevices. DO be careful moving or cleaning up debris or items that have been lying around outside the house. DO keep pets and children inside when using lawn mowers, clippers, blowers, or any other equipment that makes noise or could inadvertently disturb a bee hive. DO have an escape plan in mind if a bee attack occurs. DO notice if you see a few bees coming in and out of cracks in walls, utility boxes or other enclosed places. DO install a cover over the chimney when not in use. DO wear light-colored clothing. Not only around your home, but when hiking or visiting unknown areas. DON’T wear floral or citrus perfumes or after shave lotion when doing yard work or hiking. DON’T try to remove bee hives without professional help. To get assistance, check your Yellow Pages for Beekeepers, Bee Removal Services, Bee Supplies or Pest Control Services. 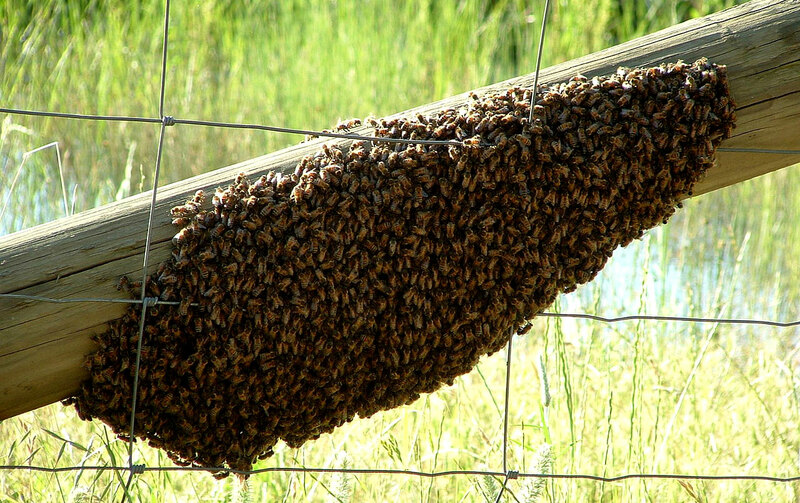 DON’T pen or tether animals near bee hives. DON’T panic every time you see a few bees in some flowers. 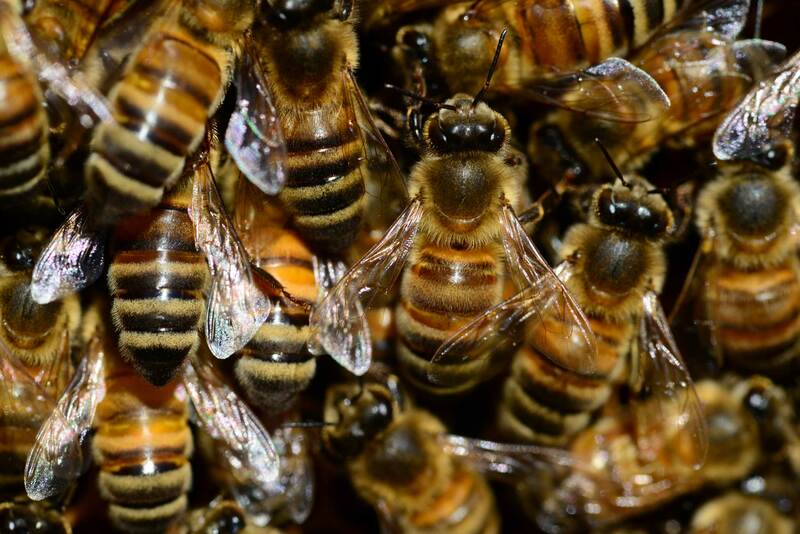 Bees are very important and productive insects (when they are not attacking!) which is why there is no wholesale program for destruction of bees. It’s warming up and that means the bees are out. Wear light-colored clothing. Bees tend to attack dark things. Dark clothing, dark hair, any thing dark in color could draw the African Honey Bees. Bees are sensitive to odors, both pleasant and unpleasant. The smell of newly cut grass has been shown to disturb honey bees. Avoid wearing floral or citrus aftershaves or perfume. Check your house and yard at least once a month to see if there are any signs of bees taking up residence. 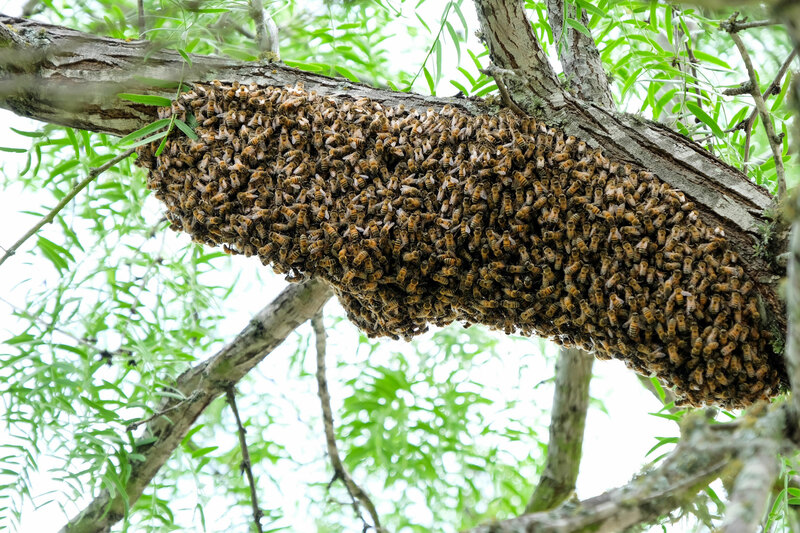 If you do find a swarm or colony, leave it be and keep family and pets away. Find a pest control company or a licensed bee removal specialist to solve the problem. To help prevent honey bees from building a colony in your house or yard, fill all cracks and crevices in walls with brass or copper wool and caulk (do not use steel wool – it will rust and decay). Remove piles of refuse. Honey bees will even nest in an old soda can or an overturned flower pot. Fill holes in the ground.